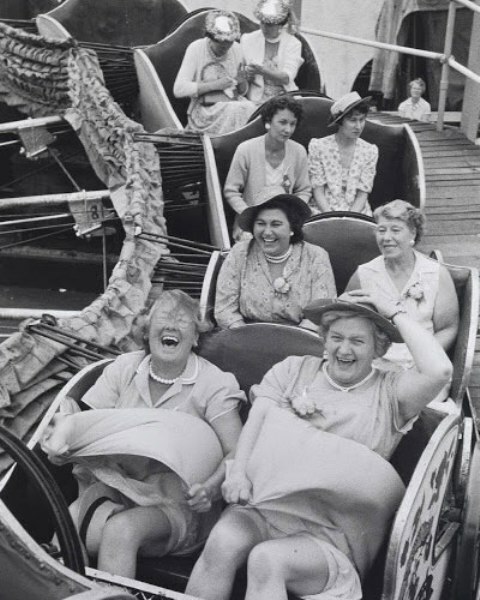 In the year following the publication of my debut, An Appetite For Violets, I often found myself telling other new authors to prepare for a rollercoaster. It feels like a dreadful cliché but I still can’t think of a better description of the breath-taking rushes and plunging plummets of my first year as a novelist. Standing in line: Like many writers I had waited in line for publication for years, watching others take off while I slowly shuffled forwards. Now, whenever my frustrations surface, I cast my mind back to that horrible when-will-it-ever happen feeling. I’m one of the lucky ones who finally reached the front of the queue. Buying a ticket: Signing a contract with a publisher was a moment of euphoria, the culmination of many years’ hopes. Yet anxieties lurked. Were those cries of delight or horror reaching me from the tracks above my head? What was I committing myself to? How would my relationships, health, and privacy be affected? Run-up to the launch: In those final weeks before my launch I was as excited as I had always hoped to be. Requests for interviews and online content arrived daily. What wasn’t part of the plan was to be six months overdue with my second book, The Penny Heart. Reluctantly I put it to one side, like a child guiltily abandoned at the boarding stage. Launch day: Hurtling at breakneck speed, I loved every minute of my book launch at a beautiful cafe bookshop in Notting Hill. The previous evening Fay Weldon had described An Appetite For Violets as creating a new genre – ‘Culinary Gothic’. The teams from Hodder and the Andrew Nurnberg Agency gave me a wonderful night to remember. Adrenalin fired me through my launch speech and the next day’s radio interview. I was on a high second only to my wedding day. Speeding along to the top: The first six weeks were a frantic mix of checking reviews, giving interviews, writing content, and succumbing to the newly published authors’ addiction – checking Amazon rankings. Stomach-churning drops: There were frustrations. At times the publicity machine seemed incomprehensibly stuck in one gear. Just like a rollercoaster, I learned that publicity largely depends on the energy gained from the first thrust and thereafter you are mostly on your own. My workload seemed to grow ever heavier, holidays weighted down with laptop and folders, and weekends dominated by never-ending edits and social media. At times I entered dark and disorientating tunnels – when both my editors left their jobs, and when disappointments loomed like catastrophes around every corner. Self-imposed regimes to make appearances and sell myself sometimes left me cringing and anxious. New Peaks: Thankfully, there were always new highs. My twitter friend, Louisa Treger, invited me to join The Prime Writers, a bunch of debut authors all eager to share the bumpy ride. I worked on my confidence and got precious help from my local Waterstones and The National Trust’s shop at Erddig Hall, the inspiration for my novel. My husband was my star supporter: photographer, IT expert, first reader and hand-holder. And meeting keen readers, via my website or in person, was an unexpected pleasure that reminded me why I was doing this in the first place. The Corkscrew: My foreign editions were published with little fuss but towards the end of my first year I had the thrill of the online launch of An Appetite for Violets in the US. This time around I was better prepared, with ready answers to most questions. Mostly conducted by email, save for a live interview with a New York radio station, I wrote copy for everything I could, from The Huffington Post to The Hollywood Daily Star to tiny small town food blogs. Then a tweet told me that An Appetite For Violets had been picked by the American Library Association’s Booklist as one of its Top Ten Crime Debuts of 2015. I stared at my screen and genuinely wondered if there was another @MartineBailey out there. That was my G-force moment, face flattened, plunging up and over my highest crest. 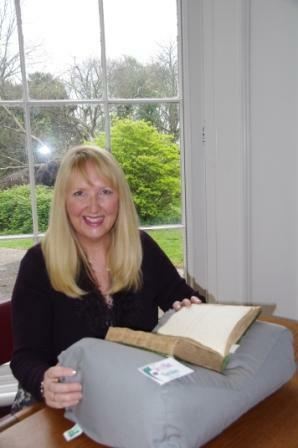 Martine Bailey writes historical crime novels with a culinary theme. 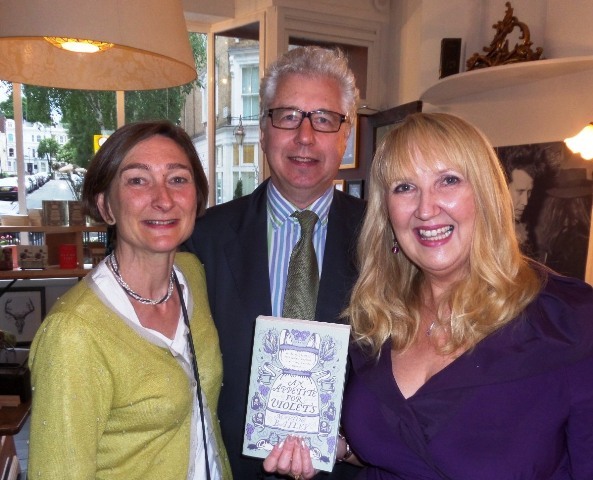 An Appetite for Violets and The Penny Heart are both published by Hodder Books.